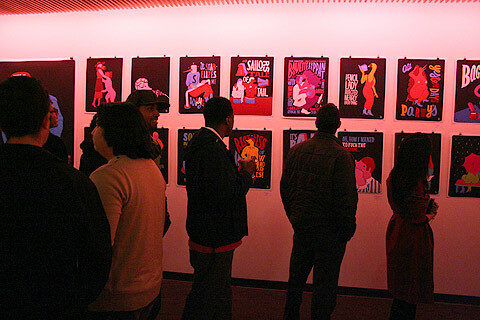 By now, you should be familiar with one of our favorite industryfolk, and Amsterdam’s reigning artisan, Pieter Parra, who was kind enough to work with us this season on a collaborative graphic tee. 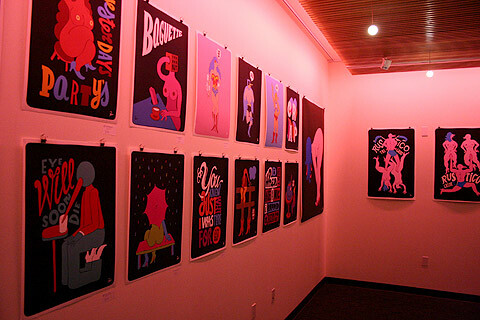 Well, it seems like it’s finally Pieter’s time to surge forward in the American art scene. 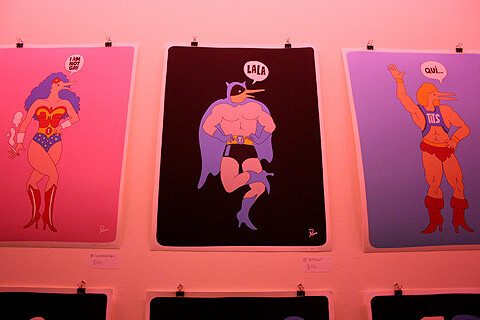 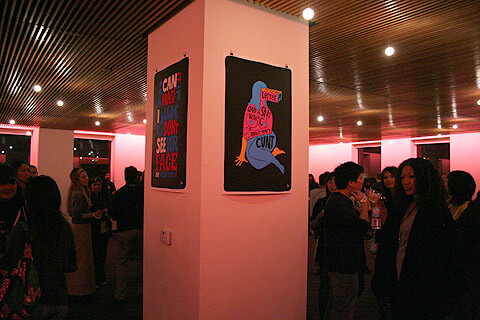 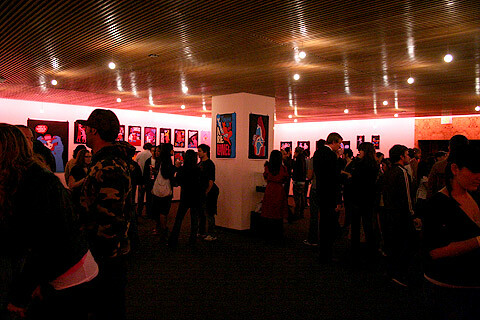 Stones Throw threw a Parra print exhibition in downtown LA tonight at The Standard hotel. 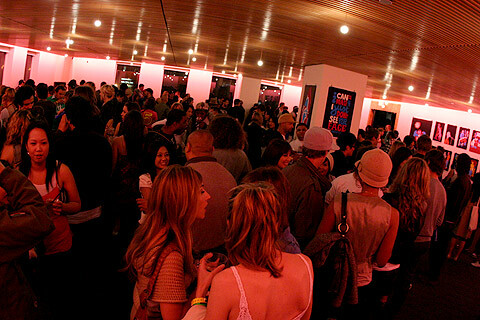 One of the biggest lines I’ve seen in a while for a party, with one of the best crowds and vibes to boot. 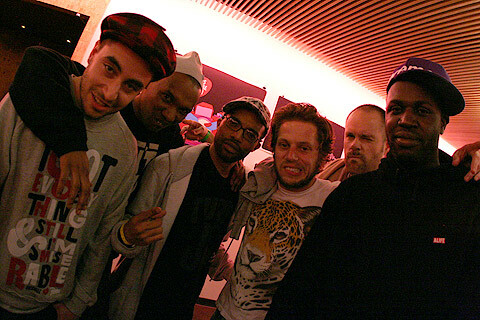 Parra (3rd from right) and the world famous Patta crew are far away from the Netherlands. 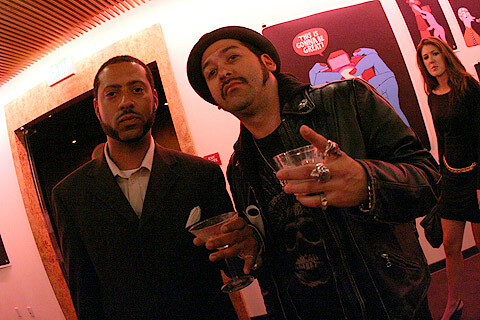 Madlib and Brandon (Han Cholo) keepin’ it cool.